Fifty years ago, UCI was born to fulfill an audacious goal: improve society through a system of globally preeminent research universities that create knowledge, unearth life-enhancing discoveries, and provide a world-class education to the most talented young people regardless of background. The extraordinary faculty, staff, and students who arrived on the new Irvine campus in 1965 were committed to this mission, and this month we recognized the 50th anniversary of the first day of classes. We recently welcomed back hundreds of our trailblazing founders for a special celebration acknowledging and highlighting the integral role they each played in UCI's unique history and success. The event was a wonderful opportunity to reminisce on the past while looking forward to the future as we enter a new era of excellence. 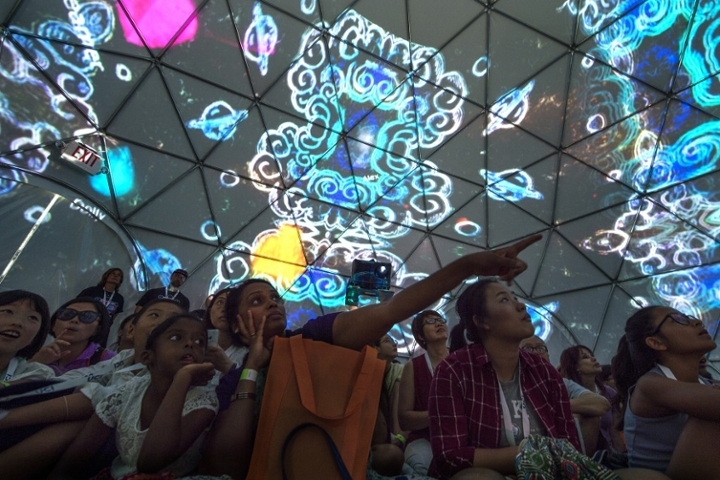 Additionally, more than 10,000 people joined us for our Festival of Discovery in Aldrich Park. The daylong jubilee invited community members of all ages to explore UCI research, art and innovation and to connect with our resources. Through this vision, we have a clear direction for the foreseeable future that can be revised to adapt to changing circumstances and new information. Provost Lavernia and his team have created an outstanding process for consultation with all our stakeholders. Please review our strategic plan on his website and participate in the ongoing weekly surveys to prioritize strategies within each pillar. Provost Lavernia and I look forward to your feedback. The research and education undertaken at UCI have the ability to save lives, influence society and change the world in truly meaningful ways. But it is only possible with the transformative support of our community partners. A decade ago, UCI launched the $1 billion Shaping the Future fundraising campaign to build a better tomorrow for generations to come. I am tremendously proud to share with you that we have exceeded that goal, raising a total of $1,013,853,274 that has funded more than 500 scholarships and fellowships, endowed more than 50 academic chairs, tripled the UCI endowment, and provided vital funding to establish new programs for scholars and learners. The campaign focused on several impact areas, including energy and the environment, global leadership, health, learning and the mind, and support for our students. You can read on our website about the many ways the campaign and the 113,000 donors who contributed to its success have greatly affected the lives of those on our campus and in the community. At UCI, we believe it is essential to provide opportunities for outstanding students, regardless of their socioeconomic backgrounds. 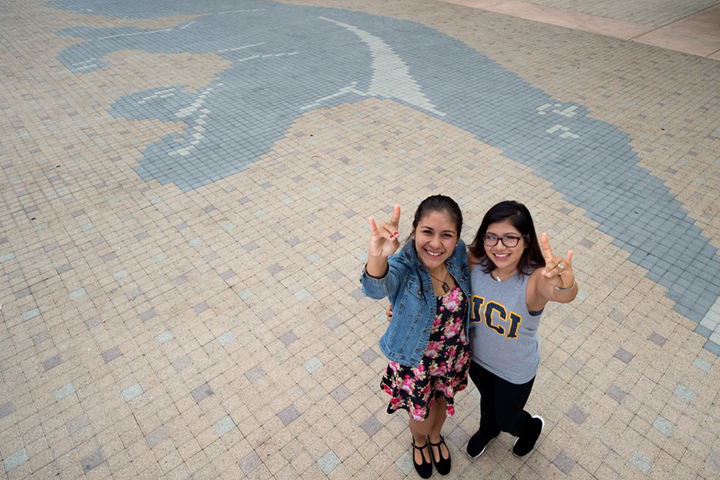 More than 40 percent of UCI students come from low-income households and receive federal Pell grants as well as financial aid from the University of California’s Blue and Gold Opportunity Plan. Last month, our efforts were recognized when UCI was named the top university doing the most to help low-income students by The New York Times' College Access Index. One example of our campus’s outreach is the Anteater Academy at Valley High School in Santa Ana, a four-year college prep program designed to help students at poor-performing high schools achieve their educational goals and create a college-going culture among teens with the potential to succeed in school but who lack resources or support. Seventy-three students in the academy’s first graduating class were admitted to four-year universities, including UCI – a 95 percent success rate. Among the most important things we can do for our students are to expose them to hands-on learning, encourage them to explore new and challenging ideas, and consider ways to improve current conventions. This month, about 100 students from UCI, Irvine Valley College, Saddleback College and Chapman University competed in the U.S. Department of Energy Solar Decathlon, an international collegiate competition to build energy-efficient, solar-powered homes. Led by Gregory Washington, dean of UCI’s Henry Samueli School of Engineering, and engineering graduate student Alex McDonald, Team Orange County presented Casa del Sol – a stunning, zero-net-energy home designed and built from the ground up by college students. The entire process took almost two years to complete. Casa del Sol received high marks in the affordability contest, the engineering contest, and the home life contest, a reflection of the students' dedication to creating a lovely, energy-conscious home that can compete in Southern California's housing market. This month, we also celebrated the grand opening of the Cove – the home of UCI Applied Innovation. The 31,000-square-foot facility is designed to be the hub of tech transfer at our university. Led by Richard Sudek, Applied Innovation (the new name of the Institute for Innovation) truly is the front door for all industry collaboration with UCI, serving as a one-stop-shop for entrepreneurs. On any given day, the Cove is bustling with energy and ideas as UCI students and faculty hash out ways to transform their ideas into functional enterprises that benefit society. One example is Michelle Khine, an associate professor of biomedical engineering, who moved her startup, TinyKicks, into the Cove. The company has developed a device that keeps track of fetal activity to monitor the health of unborn babies and expectant mothers. With the product, Professor Khine will tap into the $9 billion global market for fetal monitoring. Recently, President Barack Obama presented UCI Distinguished Professor of history and Chicano/Latino studies Vicki Ruiz with the National Humanities Medal at a White House ceremony recognizing those who have had significant impact in the humanities. Distinguished Professor Ruiz is an internationally lauded historian who has pioneered the history of 20th century Latinas. She is a first-rate academic, campus leader, and tireless researcher of immigrant women’s stories, which are not heard often enough. Congratulations, Vicki! I am happy to share that UCI will be part of a five-year, $50 million international research consortium to tackle water-related aspects of energy production and use. The project is a collaboration among UCI, UC Berkeley, the Lawrence Berkeley National Laboratory, UC Davis, UC Merced, UCLA and the Stockholm Environmental Institute. Co-principal investigators of the project are Soroosh Sorooshian, director of UCI’s Center for Hydrometeorology & Remote Sensing and Distinguished Professor of civil & environmental engineering and Earth system science; and Scott Samuelsen, director of the Advanced Power & Energy Program and the National Fuel Cell Research Center at UCI and professor of mechanical & aerospace engineering. This high-powered team illustrates UCI’s leadership in producing research and knowledge that solves regional, national and global problems. Energy and water supply and quality are top of mind right now, and this partnership – and our energy and water research centers – will yield timely technology and policy recommendations. UCI and Orange County United Way recently partnered to form OC Working Together, an initiative to focus resources and address pressing societal issues in our local community. OC Working Together unites UCI faculty and graduate students, Orange County United Way leadership, chief executives from the county’s leading nonprofits, and city and county elected officials to develop strategies to help the least fortunate among us. Together, the team will look at ways to improve existing efforts in education, family violence prevention, financial stability, health and housing. As you can see, our 51st year is off to a terrific start. I look forward to keeping you apprised of more fantastic news as the school year continues.